Utopia Guest House is situated in the quiet residential suburb of Panorama in Bethlehem. The guest house has a warm and classic style and is nestled in a lovely set of lush trees, shrubs and flowers. Utopia appears to be quite remote from the busy malls, shops and urban life, but is actually conveniently connected to major streets to the city centre. 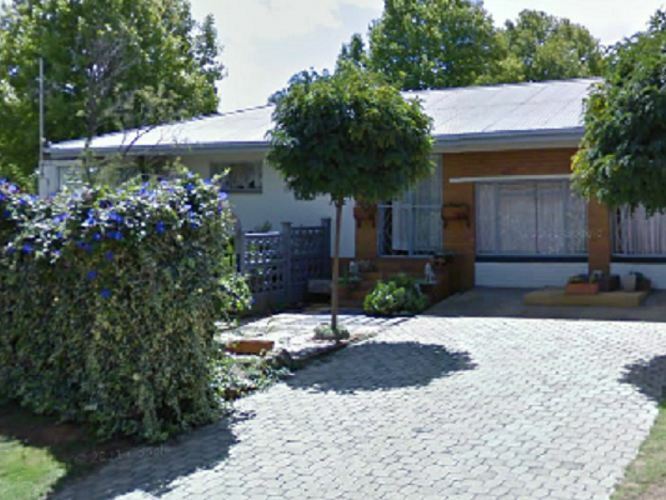 The guest house is a comfortable base from which to explore Bethlehem, Clarens and the vicinity. Accommodation is offered in an elegant and comfortable self-catering unit. The stylishly decorated unit is well-equipped for your every need and contains an en-suite bathroom, lounge and a fully equipped kitchenette. Here, you will find a haven after a hard days work or travel, yet the active business person will find more than enough work space in the tranquility of the guest house. Safe, covered car ports are also available for guests&apos; use. At Utopia Guest House, you will experience hospitality you would only expect from friends. It is our priority to let you feel at home with our excellent service. "It was terrible just one room in parents house no fridge wall robe heater no way to cook bedding looked very old same as bath towels no soap provide would have gone else wear if husband hadn&apos;t been so tired. Barthroom was just a partition off the bedroom. I would strongly recommend you take it off your web site it really is that bad, no grading by the tourist council they wouldn&apos;t get it."